Linden Lighting Services is a local family owned company servicing western Michigan. 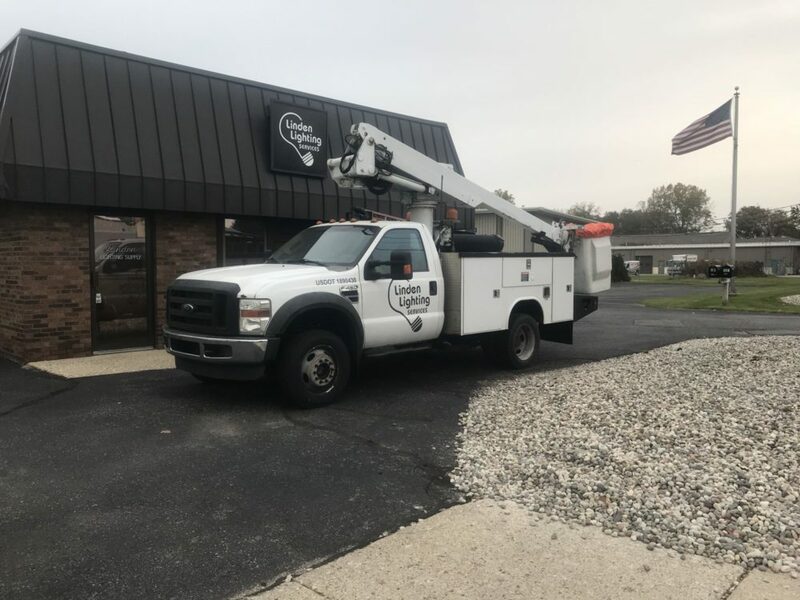 We are a licensed electrical contractor specializing in signs and parking lot lighting. Service upgrades, running circuits for new equipment and adding new lighting are just some of the other services we offer. We can convert your existing lighting to energy saving L.E.D. lighting and get you the utility rebates your project qualifies for. Our lifts reach up to 60 feet and our fully stocked work trucks allow us to complete most service calls in one trip. Since we are a wholesale lighting distributor we carry a full line of lighting products. Fluorescent lighting, L.E.D. lighting, H.I.D. lighting, and emergency lighting re just a few of the products we carry. Call us today for pricing on the products you need. As always we have free delivery in the Grand Rapids area.